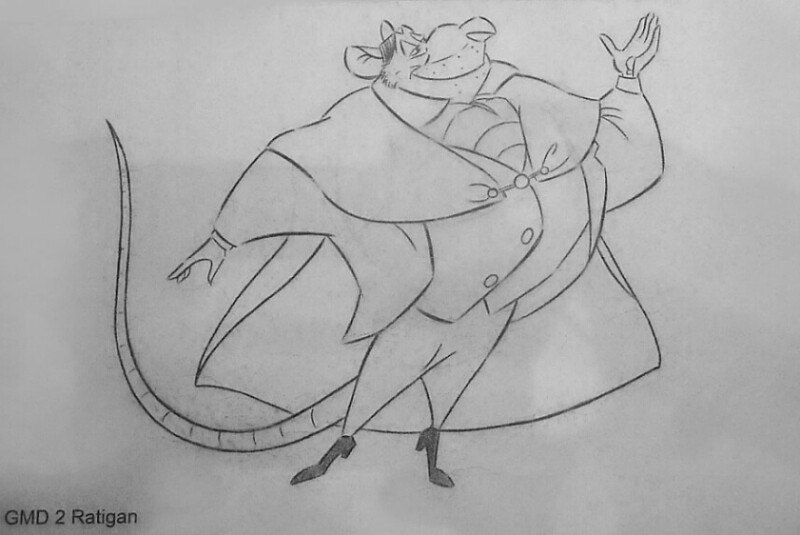 Description: This is the official drawing of Professor Ratigan. It's found in the black portfolio that contains many Disney animated characters. One of three available artists takes your order by asking specifics (which character, what colored pencils to use, an optional greeting, etc.). Times vary on when to pick it up. Used with permission.